Daihatsu isn't a name we hear in The States much. Currently a wholly-owned subsidiary of Toyota, only a small sliver of the company's lineup—the milquetoast Charade and the extremely rad Rocky—were ever sold in America and that was for five-ish years in the late-80s/early 90s. Overseas, though, where people like things that are awesome and quirky and small, Daihatsu has been cranking out commuter cars, hot hatches, and other neato little rides since at least the 50s. Before that, though, for ten glorious years, Daihatsu made killer little Servi-Car-style trikes. Friends, meet the Tsubasa. To talk about the Tsubasa, which I first saw in a Mighty Car Mods video where host Martin goes to Japan to buy parts for his Mira and visits the Daihatsu factory museum, we have to go way, way back to 1907. 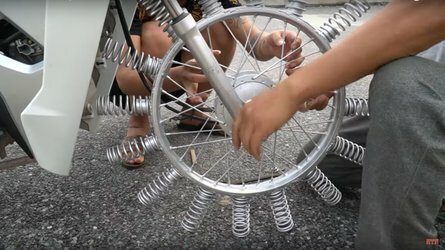 That's when Hatsudoki Seizo Co., Ltd., was founded in Osaka, Japan by a handful of academics and professors who believed that dragging Japan kicking and screaming into the modern era would require domestic production of machines—including lots and lots of internal combustion engines. Now, this was at a time when imports were all the rage with the Japanese and domestically-produced products were pooh-poohed by damn near everyone so they had an uphill climb of it. The company started out as an engine maker, building stout, well-engineered diesel, electric, and gas-powered mills for industrial and agricultural applications. They even got into making marine engines for a while. 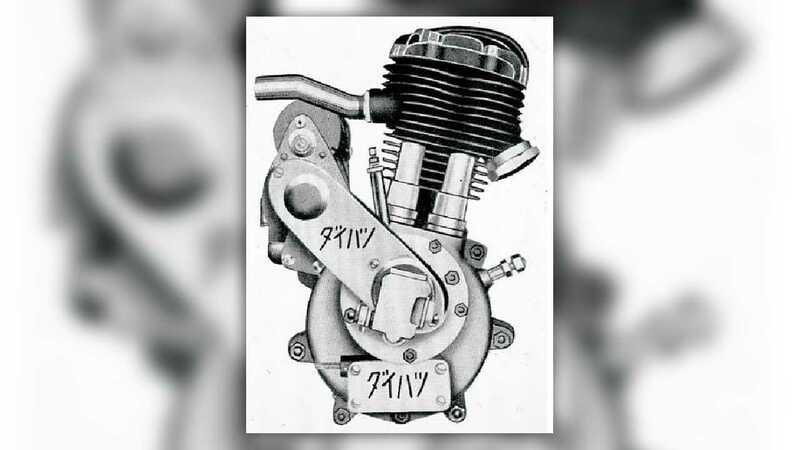 Building engines and selling them to other companies was all well and good for the first twenty-or-so years, but by the late-20s the company figured that it'd have a go at producing its own complete vehicle, and the Tsubasa was born. 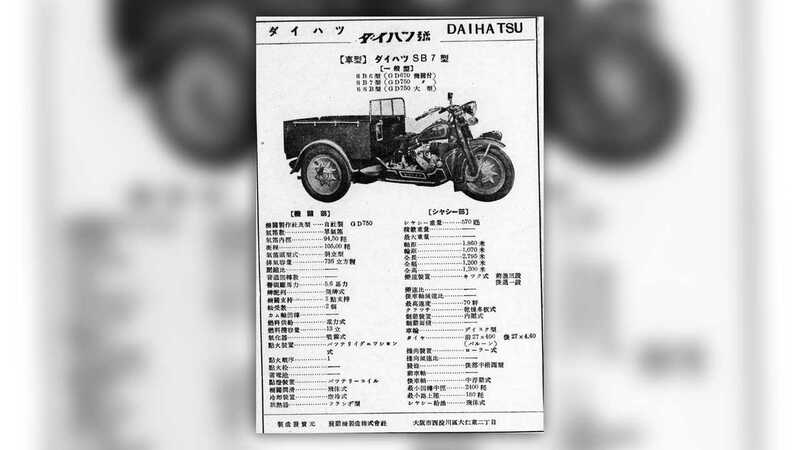 The first "Model HA Daihatsu Vehicle" debuted in 1930. 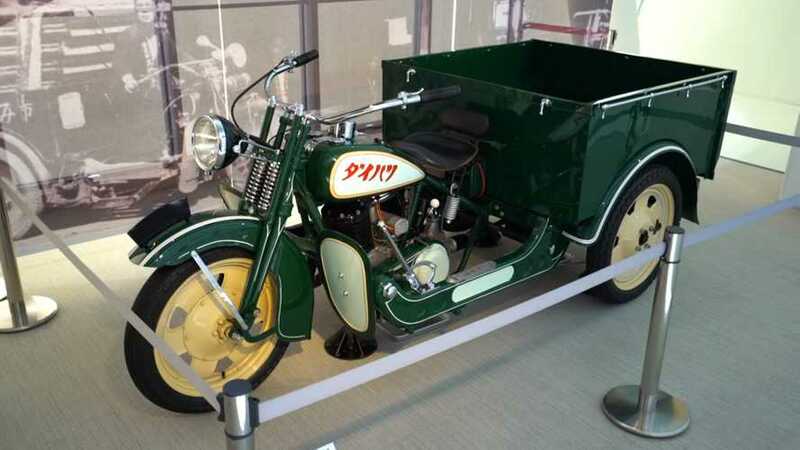 Looking for all the world like a Harley-Davidson Servi-Car (another factory trike that owns bones), it was powered by the company's 500cc, air-cooled single—an engine HSC had been selling to other companies—mated to a three-speed, hand-shifted trans. From about the seat post forward, the Tsubasa was a pretty normal-looking late-20s/early-30s-era bike. It had a big teardrop-shaped tank with inset instruments, a springer front end, and all the regular handlebar controls. It was everything aft of the seat that was the Tsubasa's party trick. A late model Tsubasa's tank-top clock and various gubbins. 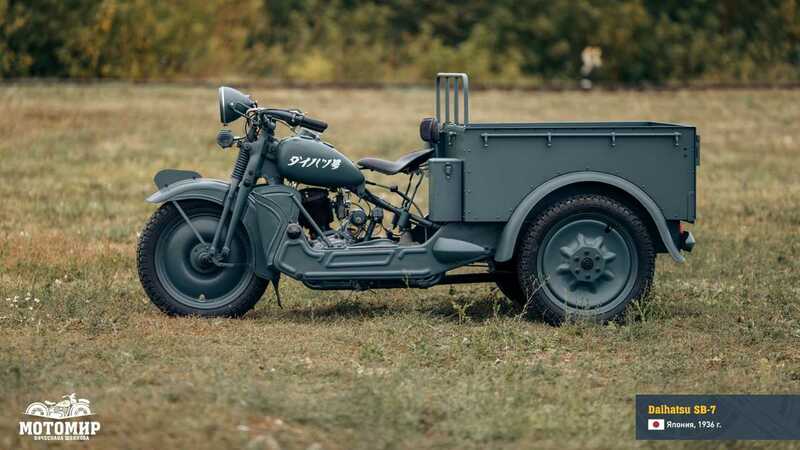 This one was a Japanese Army cargo model that somehow found its way to Russia. Its restoration is chronicled by our pals over at MOTOWORLD. From the seat back the Tsubasa was, essentially, a tiny pick-up truck. 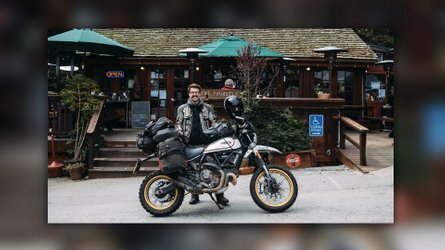 It had a broad cargo bed that sat on two wheels with an automotive-style differential. 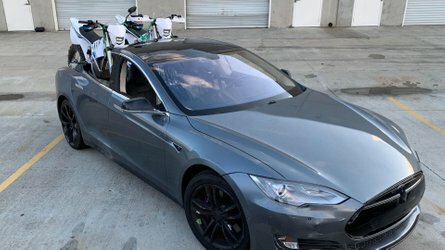 Twin frame spars ran forward from the cargo box providing cover for the rider's feet and a convenient place to mount some shin guards. It's a really nice design overall and a cool looking bi...uh...trike thingie. It was, apparently, remarkably nimble which was a plus in Japan's cramped and narrow streets. By all accounts, it was very well received and quite popular. As an interesting aside, this was the first time the company used "Daihatsu" in any formal capacity. Customers had been calling it Daihatsu for years as shorthand for Hatsudoki Seizo. See, "Daihatsu" is essentially an abbreviation of "Osaka-based engine (hatsudoki) manufacturer and is a play on the fact that the kanji for "O", the first letter in Osaka, is pronounced "Dai". Dai Hatsu... get it? Anyway, The HA only lasted for less than a year (December 1930 to May 1931) before it was replaced by the new and improved HB. From 1931 to 1937, the company sold more than 5,000 Tsubasas in different trim levels and with various engines. 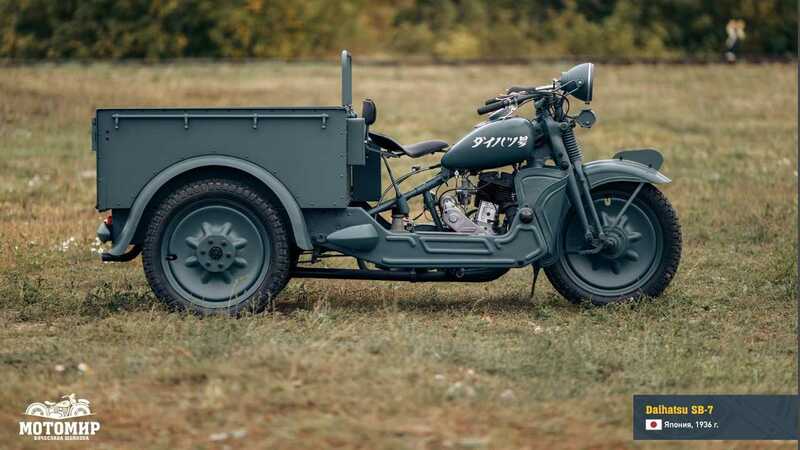 During this time the Japanese Imperial Army bought some Tsubasas for use as light cargo haulers and they saw a lot of action during the run-up to World War II. The Tsubasa went away in 1937 and never came back after The War. Instead, the company turned its attention to three-wheeled microcars and little runabouts like Piaggio's Ape. Daihatsu has a gorgeous green Tsubasa on display at its Osaka factory museum. 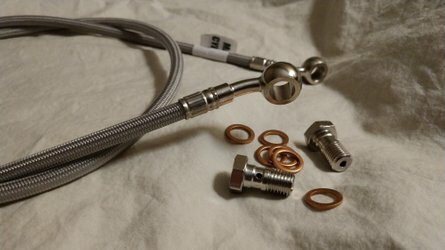 If any of you are ever out there, stop by and check it out.